Available in 13 shades from nudes to darks, the Liquid Catsuit are fragrance-free, gluten-free and cruelty-free. Its lightweight formula offers precision, performance and intense pigmentation without drying the lips. It also features film-forming agents to help provide long-wearing benefits and emollients to help provide comfort to the lips. To top everything off, it contains macadamia derivative to help provide moisture, and Vitamin E that helps to improve the appearance of texture. The shades are amazing, you have your subtle to your bolds! I want to say there's a lip shade for everyone in this collection. The doe foot applicator is not your average applicator, it angels in such a way that makes applying the product on the lips a breeze! I didn't experience any feathering with these lipsticks. After application, they will not dry instantly but once it does, it doesn't feel like there's any products on the lips. Instead, you're left with smooth, matted lips! Trying not to exaggerate but I absolutely LOVE the wet n wild Liquid Catsuit Matte Lipsticks! Glides on so smoothly on the lips, with little to no transfers and stays on all day. No really, I honestly had to lightly scrub off the product with coconut oil at the end of the day! 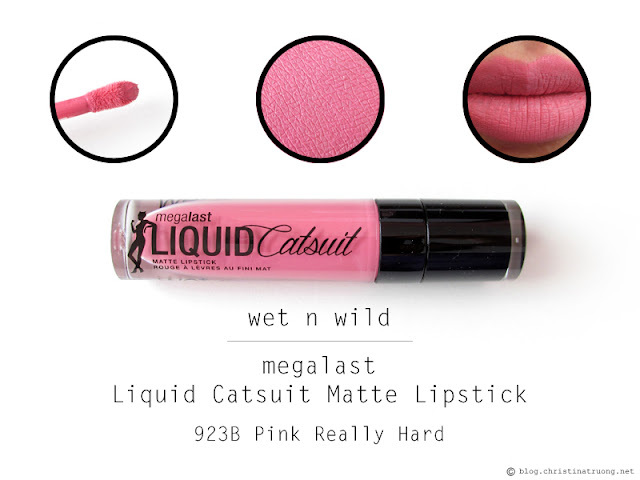 Comment below: What are your thoughts on wet n wild Liquid Catsuit Matte Lipsticks? 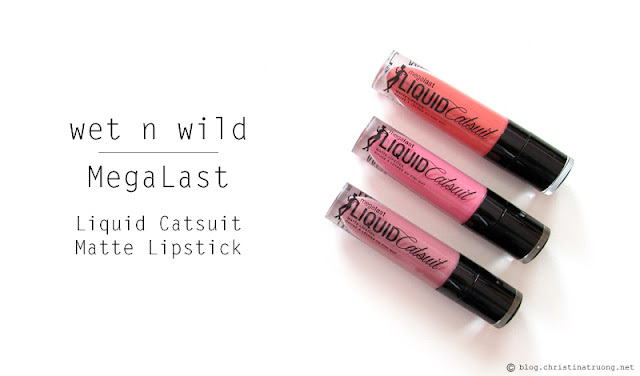 Have you tried liquid matte lipsticks before? What is your favourite lipstick shade? Disclaimer: Products received under this post were from the wet n wild 2017 Collection Preview Launch. Views expressed are honest and of my own. Wow, these look great! I love all the shades that you featured!